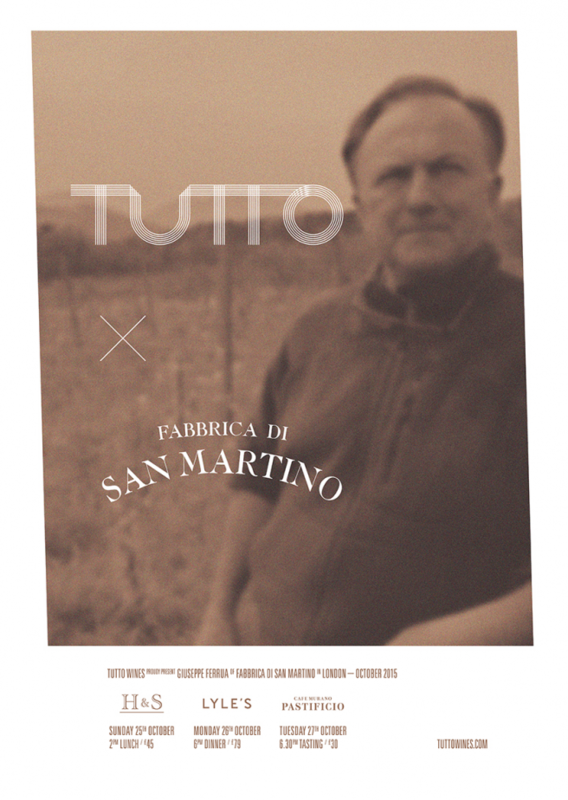 We are very excited to announce that Giuseppe Ferrua of Fabbrica di San Martino will be joining us in London in a couple of weeks time. From his biodynamic farm in the Colline Lucchesi just outside Lucca, Beppe crafts some of the most delicious wines being made in Tuscany today. His story is an interesting one, having run one of Lucca’s favourite trattorias for many years, Beppe begun tending the vines here some 20 years ago. Without any formal training, he learned by working alongside and watching carefully the ageing contadini who had looked after the land for many years. Historical documents indicate that this has always been a place where biodiversity is championed and the land is worked honestly and it remains so today. The family’s Arcipressi vineyard is testament to this philosophy, comprising less than one hectare of 70 year old vines that is home to over a dozen heirloom grape varietals with a centuries old olive tree at it’s heart. Having discovered that this isolated vineyard had never been subject to chemicals, Giuseppe decided to continue this way of growing organically, later converting the farm to biodynamics. As is so often the case, a healthy vineyard makes for vibrant wines and these are wines of real purity and drinkability, two characteristics sadly missing from a lot of wines in the area these days. We hope you can join us for one of the following events. For the last hurrah, Beppe will be hosting a masterclass at Cafe Murano’s Pastificio in Covent Garden. After welcome drinks, Beppe will spend an hour or so teaching guests about the finer points of biodynamics, the Colline Lucchesi and his farm while enjoying four different wines from the Fabbrica farm. Those who wish to stay for dinner afterwards will be able to pick up a bottle of Beppe’s wine from the pastificio and drink it next door in the restaurant free of charge. Tickets are £30 and can be purchased in advance via Eventbrite.